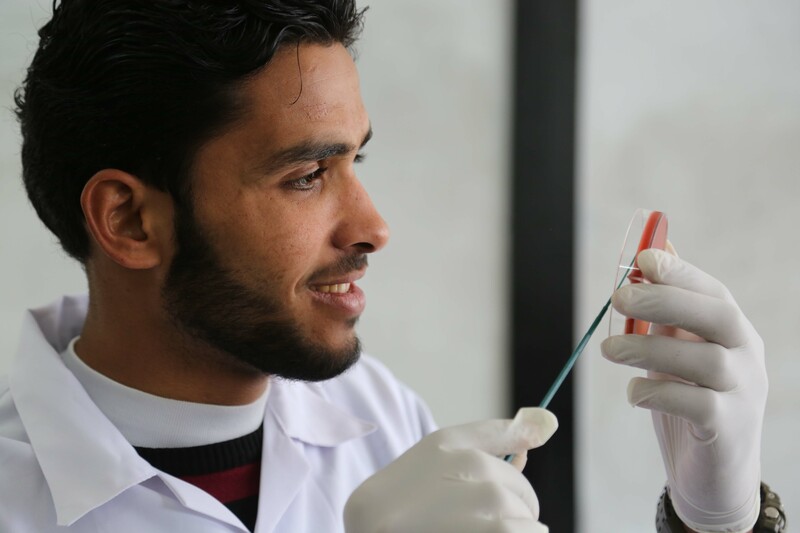 Al Azhar University-Gaza (AUG) aims to satisfy the needs of the Palestinian community with qualified personnel in diverse disciplines of knowledge, applied scientific research, and sustainable development. AUG focuses on employing the most sophisticated information technology and communication means in maintaining the authenticity of Arab-Islamic heritage as well as adhering to human rights principles. Al Azhar University-Gaza (AUG) strives to create knowledge, uniqueness, excellence, innovation and creativity through the academics and students; to be one of the pioneering universities nationally, regionally and internationally; to be a beacon of scientific research and development in the Palestinian society; and to be fully committed to comprehensive quality and continuous improvement . To build and improve the capacities of the academic and administrative staff members in order to support the academic process, scientific research and community service. To develop the university's academic programs in order to meet the Palestinian's labor market needs through creating a distinctive, innovative and high quality educational environment. To contribute in improving the knowledge level as a basis for establishing the university's strategic plans. To strengthen the university's community engagement through providing consulting, training and research services as well as encouraging voluntary work. To strengthen the university's external relations with regional and international organizations and universities and enhance the university's abilities to reach the Palestinian, Arab, Islamic and international sources of fund.